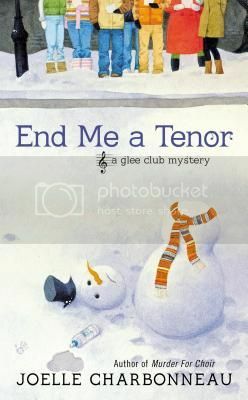 End Me a Tenor is the second in the Glee Club Mystery series. I have previously reviewed the first book in the series, Murder for Choir. After months of coaching the Prospect Glen show choir, Paige is finally starting to get the hang of things, at least a little. So when she’s told that she needs to help her students learn an entirely new number in a scarily short amount of time or risk losing her job, she understandably panics a bit. Of course, things aren’t all bad, Paige is getting an amazing career opportunity singing in a production of the Messiah with an amazing tenor, David Richard. Paige runs into David exactly three times: first, he is being punched in the face by the maestra; second, he insults her; third, he takes a sip from his water bottle and falls down dead. Now Paige needs to practice for the role of a lifetime, try to keep her day job, and do her best to solve a murder before she becomes the next victim. The first book in this series, Murder for Choir, was very enjoyable, but with End Me a Tenor Charbonneau has really hit her stride. She’s got the cozy thing down pat, while still maintaining some of her own voice, so recognizable from the Rebecca Robbins skating series. It would be quite helpful to read Murder for Choir first, because it introduces Paige and a number of important (and vibrant) secondary characters, but if you pick up End Me a Tenor on its own you won’t get lost, by any means. If you’re in the mood for a fun new cozy series, I highly recommend Charbonneau’s Glee Club Mystery series. 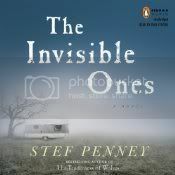 This is the third book in the Bess Crawford series. 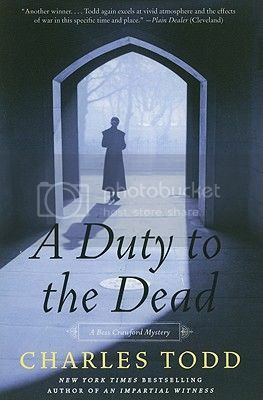 I previously reviewed the first two books, A Duty to the Dead and An Impartial Witness. Newly home on Christmas leave, Bess finds a woman huddled on her doorstep, a huge bruise spreading across her face. 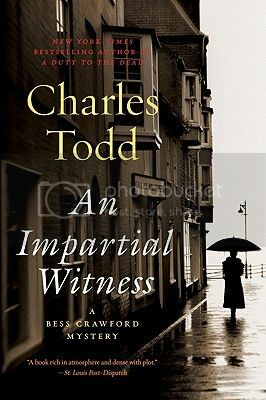 Bess is not one to ignore anyone in trouble, so she invites the woman – Lydia – in and even agrees to return home with her, to act as a buffer between Lydia and her husband. 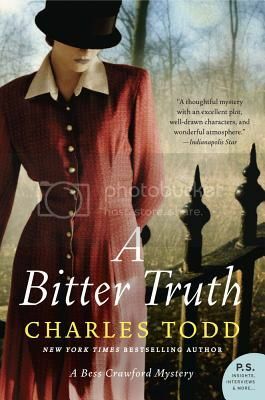 While staying with Lydia’s husband’s family, a family friend also staying at the house is found mysteriously dead after accidentally spilling a huge secret. Suddenly everyone, including Bess, is a suspect and Bess’s involvement in the case could make her a potential victim as well. Bess always seems to get herself in these situations in a slightly improbable manner and this is no exception, but the plot of A Bitter Truth actually seemed more plausible than the first two. Certainly the appearance of Lydia on Bess’s doorstep is quite coincidental, but Bess’s actions from that point on are all completely in character and believable. Who, when under suspicion for a murder, would not look further to try to clear their own name and determine the true culprit? 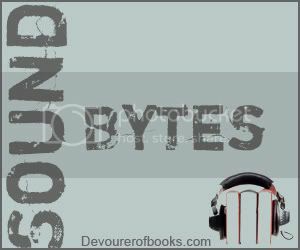 The Bess Crawford series continues to be one in which I gobble down each book as I get to it and look forward to the next book. The sad thing is that after the next book, I’ll be all out of Bess for the time being. Recommended.